Prominent Iranian jailed by FBI: Demand her freedom | Fight Back! Minneapolis, MN – A well-known Iranian journalist, Marzieh Hashemi, has been jailed by the FBI. 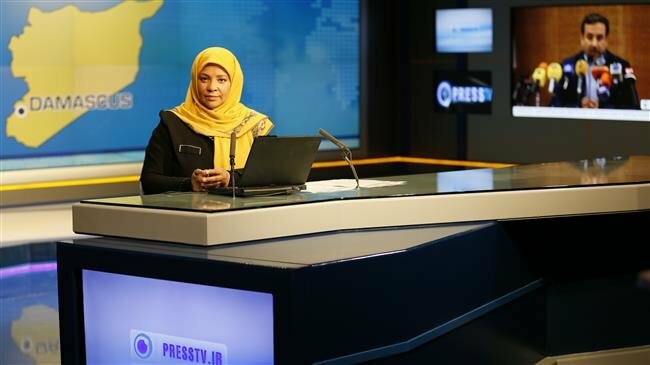 Hashemi is an anchor on Iran’s English language Press TV and has interviewed many progressive U.S. activists. According to credible reports, Hashemi was taken into custody at the Saint Louis, Missouri area’s Louis Lambert International Airport on January 13. The FBI has since moved her to a detention facility near Washington DC. There is no indication that Hashemi has been charged with anything. Hashemi, who was born in the United States but resides in Iran, was on a visit to family members, including a brother who is ill. According to her family, Hashemi is being mistreated at the detention facility, where she is manacled, given meals of pork which she cannot eat, and has had her hijab taken away.